A short history of Citroen, one of France's (and Europe's) most successful car manufacturers. 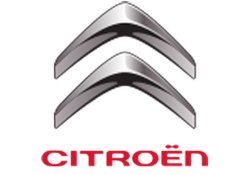 Now part of the PSA Peugeot Citroën group, Citroën was founded in 1919 by French industrialist André-Gustave Citroën. It was the first mass producer of cars outside of the United States. Between 1908 and that start of World War I, André-Gustave Citroën worked with the French car manufacturer, Mors. During the First World War, he mass-produced armaments for France. With the end of the war approaching, he turned to the mass production of cars. In 1917, Citroën contacted a French engineer, Jules Salomon, to produce a 10HP car that would be better equipped and cheaper to produce than any other car in the market. The resulting vehicle was the Citroën Type A, announced to the press only four months after the Allied-German armistice. Citroën was a skilled marketer. He still holds the world record for the largest advertising sign, thanks to using the face of the Eiffel Tower to display his brand name. He sponsored several expeditions around the world – Croisiere Jaune around Asia, Croisiere Blanche around North America and Croisiere Noire around Africa. The Citroën Type A holds the title for being the first car to be driven around Australia, driving a round trip from Perth between August and December of 1925. Aside from marketing tactics, André-Gustave Citroën knew that good service sells itself. The Citroën company became the first vehicle manufacturer to offer after-sales services to their customers, a practice that is now commonplace. Despite all its accolades and marketing genius, Citroën met with financial trouble in the late 1920s – arguably because of the outdated body shapes of its cars. Thanks to the Lazard Bank, which injected much-needed funds into the company, Citroën stayed afloat. In an attempt to prevent further similar occurrences, the company designed an ambitious new vehicle, the Traction Avant, featuring three revolutionary features – a unitary body, front-wheel drive and independent suspension. Unfortunately, demand for the Traction Avant wasn’t high enough to justify the cost of producing it, and it pushed the company into bankruptcy. Pierre Michelin, who was already a major shareholder, became the primary shareholder, and luckily for him, the Traction Avant eventually gained market acceptance. Michelin became the chairman of Citroën, naming his friend Pierre-Jules Boulanger (a World War I veteran decorated with the Military Cross and the Legion of Honour) the vice-president. André-Gustave Citroën died in 1935 from stomach cancer. Two years before the outbreak of the Second World War, Pierre Michelin passed away, leaving Citroën in control of Boulanger. During Germany’s occupation of France, Boulanger refused to meet with Ferdinand Porsche, who was making parts for the Wehrmacht. He also organized a “go-slow” on the production of trucks that he was coerced into producing for the German forces, and is said to have sabotaged many of them, putting the notch on the oil dipstick in the wrong place and so causing engine seizures. As a result, he was placed on the Nazi blacklist of “enemies of the Reich”, to be arrested on sight. During and after the war, Citroën researchers continued their work. They developed a reputation as avante garde designers, pioneering aerodynamic body design and designing swivelling headlights, a hydropneumatic self-levelling suspension system, disc brakes and power steering, giving Citroën parts a name in being forward thinking and innovative.. Thanks to its spirit of innovation (encapsulated in the brand’s current slogan: “Créative Technologie”), Citroën gained a level of brand loyalty from its customers previously seen only for luxury brands like Ferrari and Porsche. Citroën failed to design cars for the middle range of Europe’s automotive market and, between 1955 and 1970, suffered some major losses. It was for this reason that the company joined with Peugeot, completing the partnership in 1976. The PSA partnership was a success, seeing Citroën safely into the future. Citroën has expanded throughout the world and now operates factories in Argentina, Brazil, Portugal, Slovakia, Spain, Turkey, China, Russia, Italy, the Czech Republic and Japan. Keychains for the motorhead or mechanic in your life, great gift ideas for motorheads. Lovely Christmas decorations of vehicles with Reindeer Car Costumes, Car Reindeer Horns and Reindeer Antlers for the season’s celebrations.